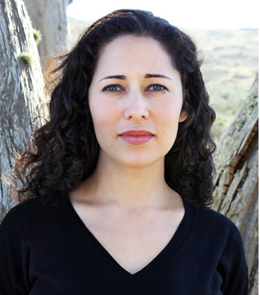 Award-winning fiction writer Kirstin Valdez Quade will join the Lewis Center for the Art’s Program in Creative Writing faculty at Princeton University in September 2016. She has been appointed Assistant Professor of Creative Writing and will be teaching undergraduate workshops in fiction. Following the debut of her short story collection Night at the Fiestas, Quade was awarded the “5 Under 35” award from the National Book Foundation in 2014, a recognition of writers who “challenge, innovate, and energize the writing world.” She is also the recipient of the Rona Jaffe Foundation Writer’s Award and the 2013 Narrative Prize. Her work has appeared in The New Yorker, Narrative, Guernica, The Southern Review, The Best American Short Stories and The O. Henry Prize Stories, among other publications. She has received fellowships from Yaddo and the MacDowell Colony, as well as a grant from the Elizabeth George Foundation. Eugenides adds that content is paramount for Quade. For that reason, he explains, a traditional approach to storytelling, one that favors psychology in the presentation of character and verisimilitude in the representation of the physical and social worlds, serves her needs best. Quade earned her B.A. from Stanford University and her M.F.A. in Fiction from the University of Oregon in 2009. She was also a Wallace Stegner and Truman Capote Fellow and a Jones Lecturer in Creative Writing at Stanford University, where she taught fiction and creative non-fiction. In 2014-15, she was the Nicholas Delbanco Visiting Professor at the University of Michigan. Most of Quade’s stories revolve around the passions and obligations of family life and explore themes of race, class and coming-of-age. Born in Albuquerque, New Mexico, and having lived all over the Southwest, Quade believes that the landscape of New Mexico and Santa Fe, where she spent most of her high school and college summers at her grandparents’ homes, are the “primary fuel” for her stories. In an interview with the magazine Pasatiempo, Quade said that she started writing because of her curiosity of what it is like to be other people. She added she has drawn on family stories in her work. “I wrote fiction because there were always details that my grandparents or great-aunt couldn’t supply, questions that they couldn’t answer. So I began to fill in the gaps myself,” Quade noted in the interview. In addition to Eugenides, Lee and Smith, Quade will join Program in Creative Writing faculty Jhumpa Lahiri, Paul Muldoon, Joyce Carol Oates, James Richardson, Susan Wheeler, and Edmund White, among others. Through the program’s courses, students have the opportunity to pursue original work at both beginning and advanced levels in fiction, poetry, screenwriting and translation under the guidance of these practicing, award-winning writers. Students can earn a certificate in creative writing in addition to their degree in a major. Each year two dozen seniors work individually with a member of the faculty on a creative writing thesis, such as a novel, screenplay, or a collection of short stories, poems, or translations. To learn more about the Program in Creative Writing and the Lewis Center for the Arts visit: arts.princeton.edu.